Leading Service Provider of Online Bulk SMS Service, Website And Software Development Services, Bio Metric Attendance Technology Solution Service, CCTV And Computers Technology Solution Services, Bio Metric Attendance Services and CCTV and Computers Services from Muzaffarpur. Bhardwaj Associates an old firm in the business of online bulk SMS services, catering to all types of customers, big, medium and small sized organizations through our innovative solutions for sending group text messages all over India through different sms gateway networks. SMS marketing is one of the best opportunities to communicate with people instantly. Sending SMS messages through mobile phones was among such tasks that sounds like day-dreaming earlier. But with the sms solutions offered by us, bulk sms marketing becomes quite easy and affordable. We have successfully designed and delivered many campaigns for our clients and are extremely eager to share it with all those who are looking for an effective medium to reach out to clients within seconds at prices that meet the budget. Sending SMS messages is not only a trend but most of the big and small brands prefer to send bulk sms to their customers and targeted audiences through bulk sms gateway to keep them updated and also to promote new launches every now and then. Try Our SMS Messaging Service Bulk sms in India is a highly growing trend, almost all the businesses need to send text messages for various reasons. Whether it is about launching a new product or to make a nationwide announcement, bulk messaging is ideal for all. 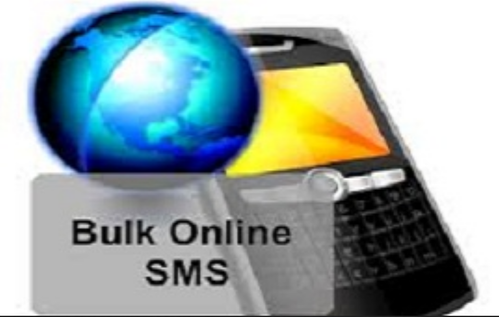 With our bulk sms software we will manage all aspects of your requirements from start to finish! We design as well as run your campaign and if you wish to create a customized bulk SMS campaign based on your own business needs and time frame, we will facilitate that for you too. Website & Software We take great pride in our design capabilities and hence are a trusted web development company in Muzaffarpur. Our smart and beautifully designed website is a combination of an innovative, thoughtful and functional UX dressed up in a fabulous UI. Each of our website, be it even mobile websites, are a masterpiece in itself. Our responsive and fluid designs ensure that your website looks stunning and performs superbly across all devices and platforms. We single-mindedly focus on critical web design aspects and E-commerce website design such as brand building, message clarity, open source platforms like Joomla (CMS) and a robust support plan dedicated for an improved customer experience. Bhardwaj Associates is a leading software development company providing services related to software development . We have expertise in various other domains as well but this is one particular domain where we excel to the best of our ability. Today’s world is ever changing and for any business to stay in or ahead of the competition, it’s essential to optimize business processes. This lets us provide enhanced customer service and enhanced efficiency eventually leading to additional turnover and profit. We believe that the best way to accomplish this is by implementing software solutions that have been exclusively designed and developed for your process. We believe that to make sure about success, you need both expertise in understanding the business processes as well as proven product and technical knowledge. This is a growing market. Security incidents in schools grab the headlines, emotions and budget allocations. How to address security concerns leaves room for many opinions and strategies. Relationship selling past experience with school districts and government sourcing requirements make this opportunity a complex environment to grow your business. Solutions we offer :- Attendance Payroll Management small office single user DESKTOP. Attendance Payroll Management Multi Location on DESKTOP. Attendance Payroll Management Single location on Web. Attendance Payroll Management Multi Location on WEB SERVER. Attendance Payroll Management Multi Location on CLOUD SERVER. Attendance Payroll Management on Android and IOS. Access Control system Standalone without PC Connectivity RF ID and Password. Access Control system Standalone without PC Connectivity Finger + RF ID and Password. Access Control System SINGLE DOOR with TCP/IP. Multi Door Access Control with Web server and Interlocking. Employee Tracking Through Mobile App with Location and Photo. 254 door controlling from Remote Local with single server or PC. Student attendance management solutions with SMS. Parking Management Solutions. This is a growing market. Security incidents in schools grab the headlines, emotions and budget allocations. How to address security concerns leaves room for many opinions and strategies. Relationship selling past experience with school districts and government sourcing requirements make this opportunity a complex environment to grow your business. Solutions we offer :- Attendance & Payroll Management small office single user DESKTOP. Attendance& Payroll Management Multi Location on DESKTOP. Attendance & Payroll Management Single location on Web. Attendance & Payroll Management Multi Location on WEB SERVER. Attendance & Payroll Management Multi Location on CLOUD SERVER. Attendance & Payroll Management on Android and IOS. Access Control system Standalone without PC Connectivity RF ID and Password. Access Control system Standalone without PC Connectivity Finger + RF ID and Password. Access Control System SINGLE DOOR with TCP/IP. Multi Door Access Control with Web server and Interlocking. Employee Tracking Through Mobile App with Location and Photo. 254 door controlling from Remote & Local with single server or PC. Student attendance management solutions with SMS. Parking Management Solutions.